drivingandlife: MERCEDES-BENZ X-CLASS TRUCK. THE BACK STORY. A short time later, the Mercedes-Benz product suits get together with members of Nissan’s product planning team, courtesy of the Daimler AG and Renault-Nissan-Mitsubishi Alliance Joint Venture, which results in the Infiniti Q30 range, created from the Mercedes-Benz GLA. Answer: Yes. Since Nissan launched the new Navarra in 2015 it has copped a lot of criticism about the load-carrying and towing ability of its new truck, and it has responded quickly by switching to new dual-coil springs, and it’s this third generation which was offered to Mercedes-Benz. Both trucks share the Nissan 4cyl. 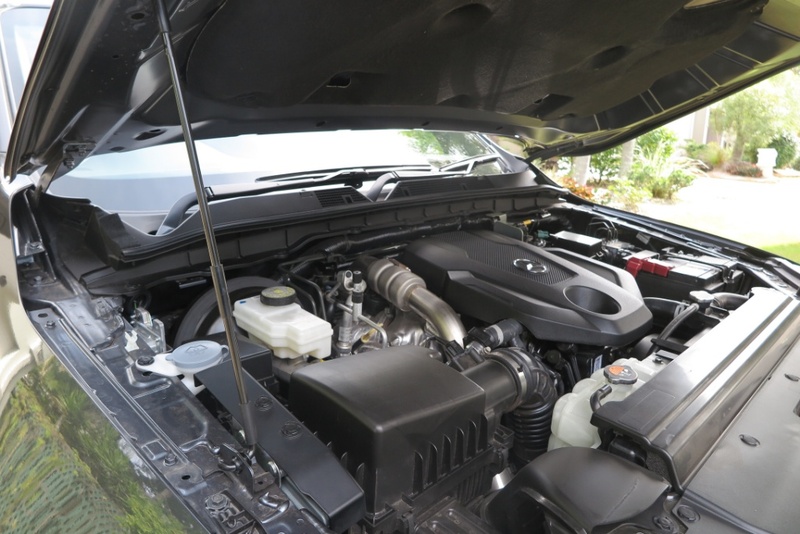 2.3L turbo-diesel and seven-speed auto transmission. The only physical difference is the M-B has a wider track, four-wheel disc brakes (Navarra has disc-drum setup), and a completely different interior consistent with current M-B interior layouts. Both will carry 650kg, and tow 3500kg, but I have to say the performance is fairly unimpressive on-road. Hopefully both trucks produce enough grunt down low to operate effectively off-road, and when fully-laden. The Nissan rides better unladen, and is impressively quiet for a diesel, and also costs a lot less (price comparison at the end of the story). The secondary ride on the X-Class (on-road) is terrible, because M-B specified heavier coil spring settings, and re-valved the dampers. Presumably done to beef up its workhorse abilities. It is constantly sending vibrations through the body at highway speeds, and it will be obvious to anyone who compares the two trucks. The X-class has additional soundproofing, and increased attention to reducing NVH, but that doesn't fully disguise the choppy secondary ride. Since Daimler AG announced its intentions, it has taken an impressive three years to get to market with a very useful, and versatile truck based on the Navarra D-23 series – saving both time, and investment costs. 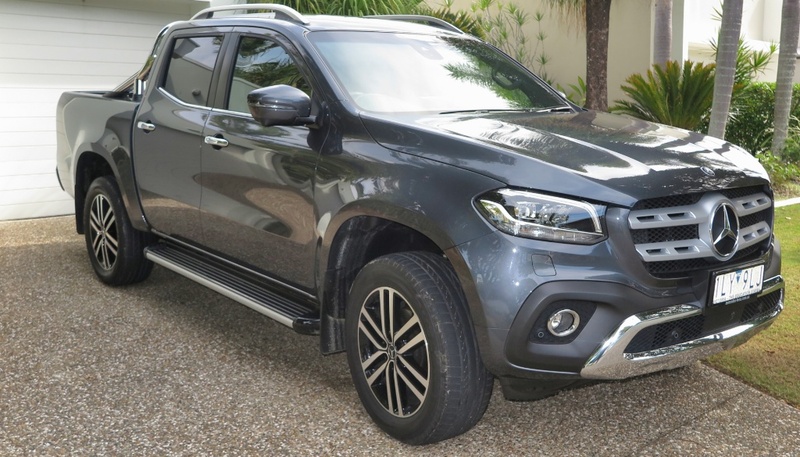 Mercedes-Benz customers will be completely satisfied with X-Class, which allows them to remain loyal to the M-B family. This exercise is nothing like putting lipstick on a pig. 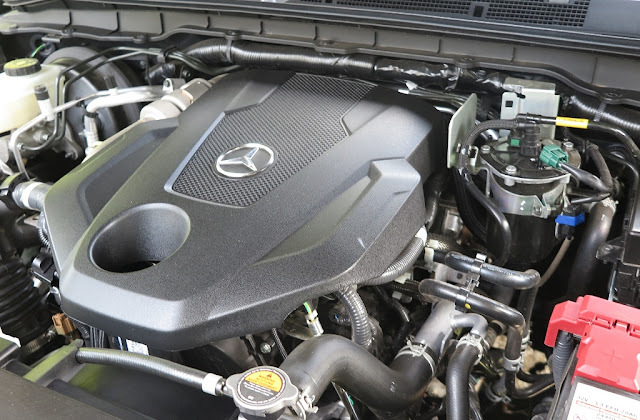 It’s a comprehensive re-design on the part of Mercedes-Benz, to suit its own demands, where it makes commonsense, and low-cost, and there are still noticeable differences between each truck. Don't get too excited by the tub cover, and the chrome roll bar. 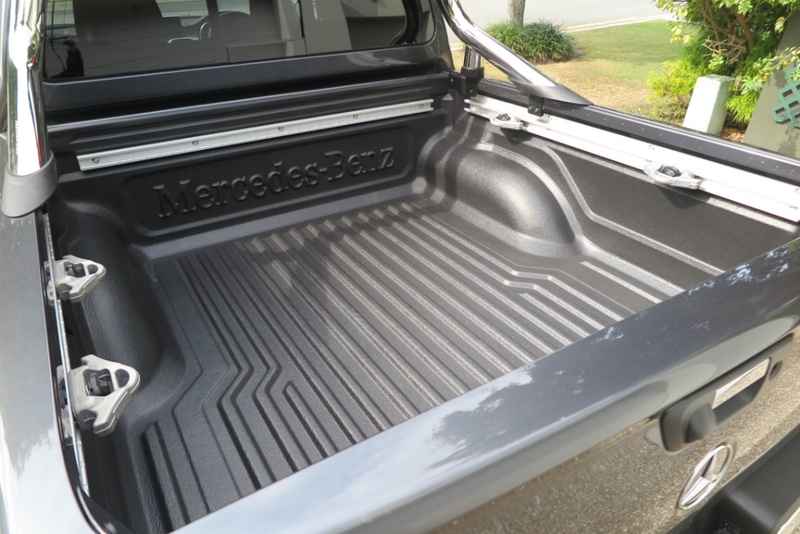 On the X-Class, they're extra cost options. 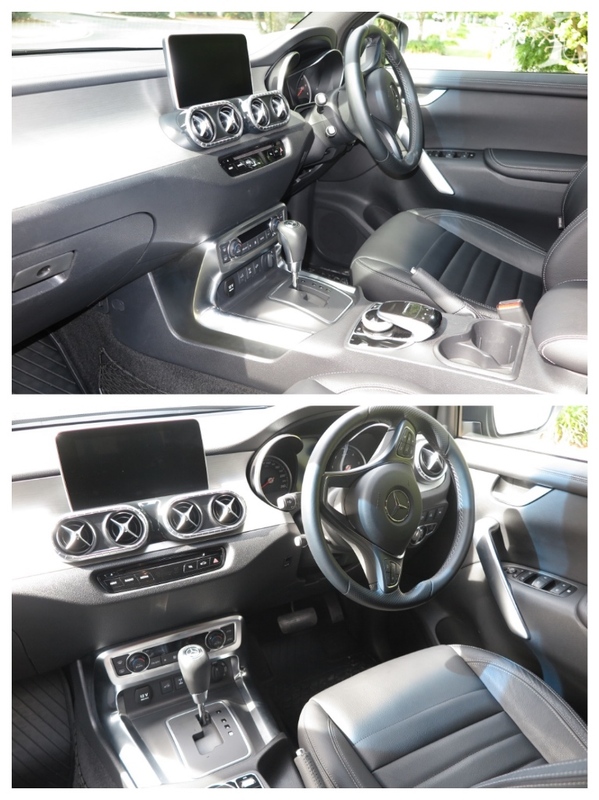 The fit and finish on both the Navarra and X-Class is very good, but as you'd expect M-B has classier interior trim, with better manufacturing quality. My interest is in how yet another new vehicle has come to market thanks to pragmatic, business-like and thoroughly-intelligent exploitation of a joint venture, plus a commonsense approach to product features, cost-sharing and a large degree of the consumption of humble pies between the various product teams. We’re going to be seeing a LOT of this in the immediate future. I have only one serious complaint. Why didn't Mercedes-Benz provide a counter-balanced hood support. It comes with just a support rod, and the hood is SO HEAVY, I had to take deep breaths and summon all my strength just to lift it high enough to put the support rod in place. Yes, it probably added cost, but I'll be surprised if M-B doesn't get complaints.